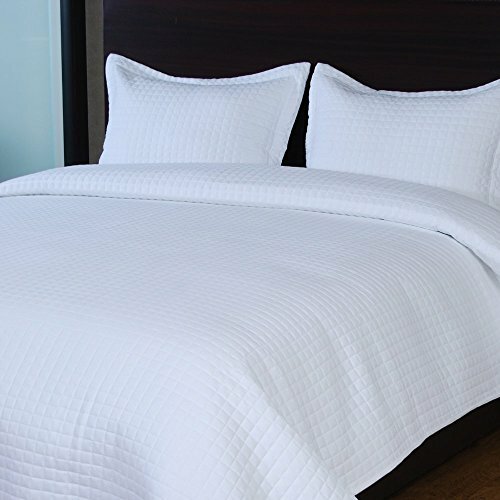 Size:King | Color:White This stylish 3-piece solid White coverlet set adds an elegant and modern touch to any bedroom. 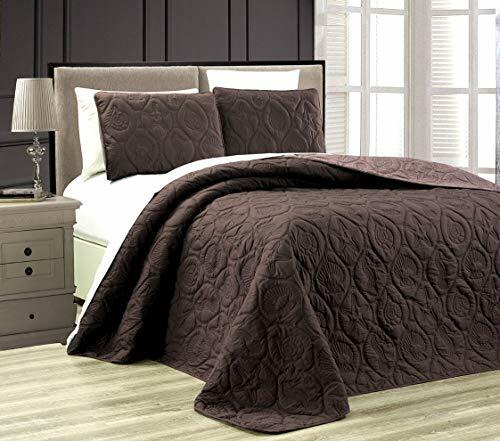 This set includes two shams and one solid coverlet with 1" square motif on the face. 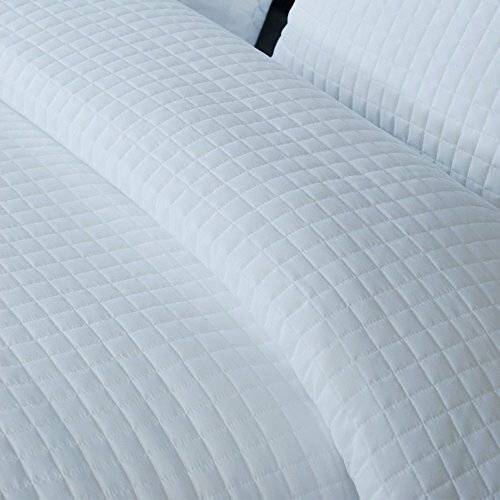 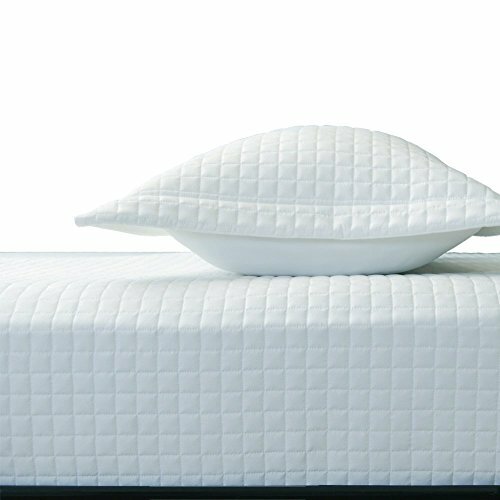 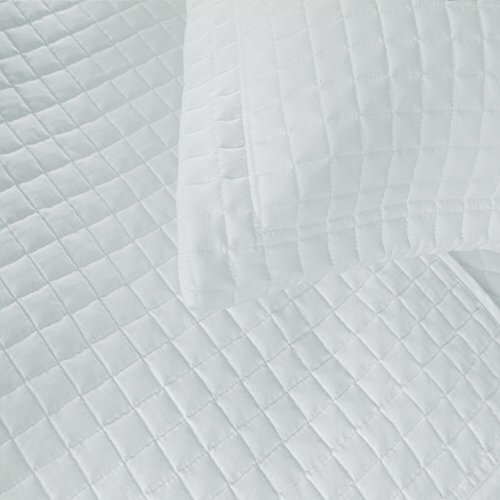 The coverlet and shams feature a soft microfiber polyester face for superior comfort, and the entire set is machine washable for ultimate convenience. 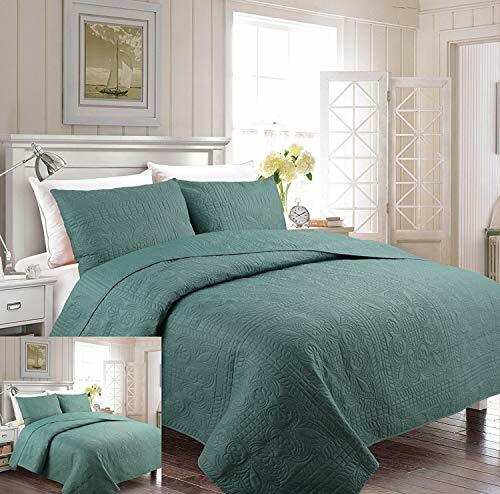 This set is available in a full/ queen size and king size.